My eyebrows are light and not very full, so I'd been eyeing microblading—an eyebrow tattooing technique popular among celebrities (a la Lena Dunham) and regular folks who want to minimize their makeup routines—for quite some time. Probably for the better part of two years. I needed to find an artist I could trust and whose designs I thought could translate to my delicate brows. I also had a good thing going with Josh, my brow-tinting guru at Brooklyn's Shen Beauty. Did I need to fix something that wasn't broken? Per usual, curiosity got the best of me. When I saw an acquaintance go to get her eyebrows "micropigmented," I raised a brow (sorry, not sorry). 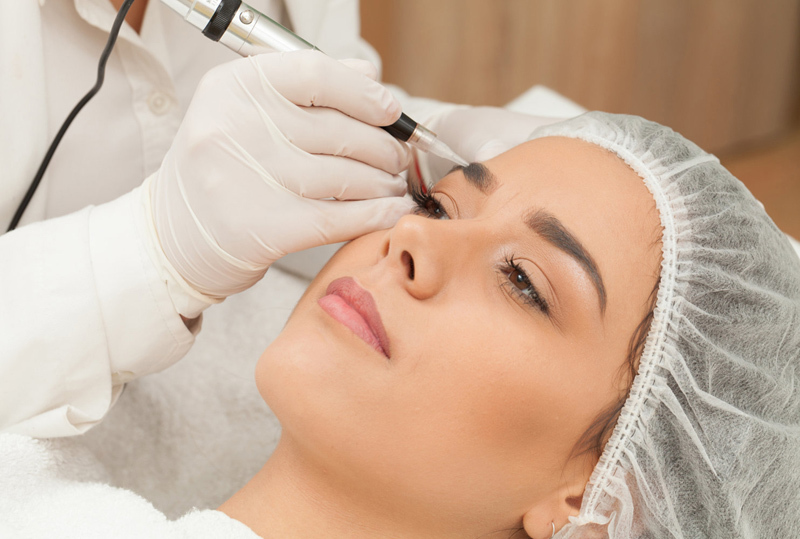 Unlike microblading, which essentially requires making the equivalent of a paper cut in the skin to deposit semipermanent color for each hair, micropigmentation utilizes a single-needle tattooing machine to create fine, hairlike strokes. 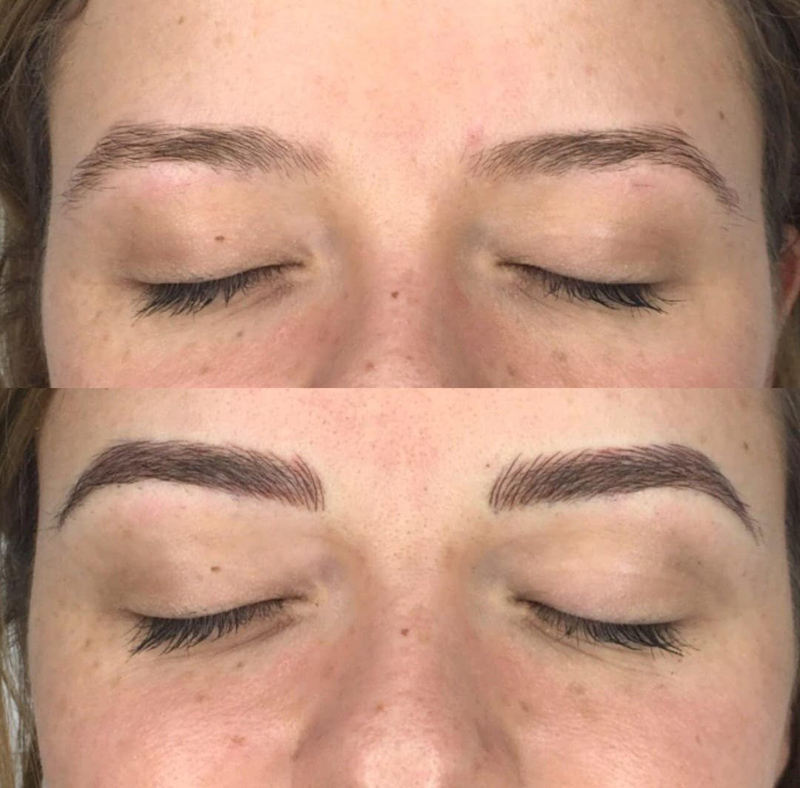 The result is softer and more natural than most microblading marks and lasts for about a year—exactly what I was looking for. The making of a pair of eyebrows, and an unusual request. Situated in an office building on 45th Street in Midtown Manhattan, Beauty Artist NY—Nayoung's business, the woman who had successfully tattooed natural-looking eyebrows on my friend—was cozy, bright, and well-decorated. I was the only client being treated for the two hours I was there, which definitely made me feel more at ease. I came to her with what I now know is an unusual request. I didn’t want to look more feminine or too polished. I don't mind looking a little gender neutral, certainly didn't want my baseline face to be unrecognizable, and I know a drastic change in brows has the power to do that. After signing a few waivers (one of which specified that any marks made could indeed be permanent), we discussed the shape of my brows. They aren't symmetrical (but no one's are), and they slant downward, preventing the eyes from looking big and well-rested, she said. She wanted to bring them "up" for a more "awake" look. I wasn't opposed to looking more awake, but I didn't necessarily want my brows to look defined or even too close together. I'm not Amal Clooney, nor am I trying to be. I was specifically worried about the spaces where my hairs are lacking—would the tattoos look too unnatural? Would they look too masculine or too feminine? I expressed these feelings to Nayoung, and she understood. I shared that I wanted a cool to neutral ashy (read: not warm or reddish) color and my unusual request for "unkempt" and non-femme brows, but it was hard to communicate at first. Nayoung has a vision rooted in geometry, and she likes to stick to it. She drew what she thought would be best on my face, then I showed her how I drew my brows, and we talked it out. In the end, though, we left it open-ended—not the most comfortable place to be when someone is tattooing your face. But for some reason, I had faith. We decided to check in after the first "pass" and see whether I needed more strokes or a different color. 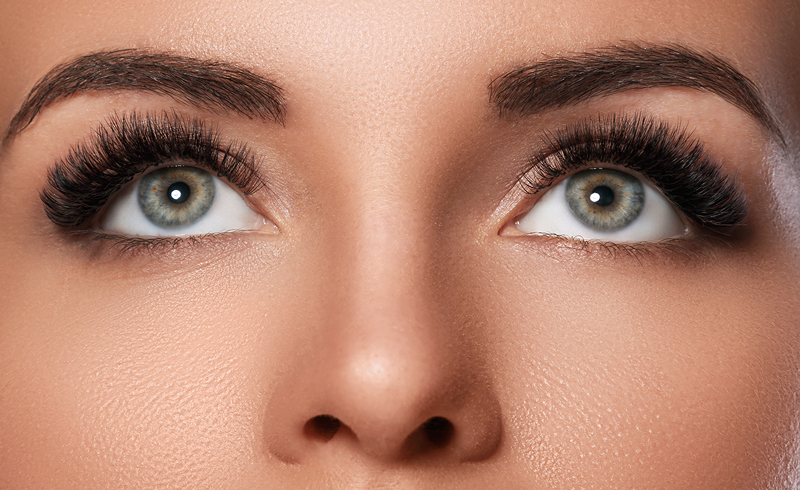 The brow micropigmentation process: here’s exactly what to expect. So I was admittedly a little nervous when it was go time. One time a few years back, I'd had my brows penciled in with a heavy hand, and I hated it—all I could see was that image in my mind's eye as I lay down to prepare. She put numbing cream on both brows and then she took pencil to them, marking with lines, dashes, and dots to guide her hand. After about 15 or 20 minutes of waiting for the numbing cream to take effect, she began. At first, it was painless. The sensation was vibration and nothing else. I made a mistake by trying to take a selfie halfway through—the work in progress looks nothing like the finished product! For me, the numbing cream wore off more quickly than expected. With that, combined with the facial I'd had the day before and the fact that my skin is thin, Nayoung said she wasn't surprised I was feeling some sensation. Most online accounts I've read of microblading and micropigmentation claim painlessness because of the numbing cream, but I can't lie to you. For about three-quarters of the time I was in process, it felt like I was getting a tattoo (I have two and know the feeling). I wasn't in writhing pain, but it was uncomfortable. And it's not Nayoung's fault; she followed protocol and added another layer of numbing cream after the first pass, but it didn't matter. Mid-session (after the first pass) we reconvened and decided to go a shade darker. The entire tattooing process lasted about 20 minutes—it's quick, and the pain endured for about half an hour after being finished. I say pain lightly; it was totally bearable and felt like a brief sunburn. To care for my new brows, Nayoung provided a gel cream to apply twice a day. You're not supposed to sweat or get the brows wet for 48 hours after the procedure because doing so can remove the pigment. That means no face washing, no workouts, and no sauna. Some clients need touch-ups three to 12 weeks after the procedure, but you can't tell until the three- to five-week mark. I'm so glad I trusted Nayoung because she nailed it. She didn't draw too many lines underneath the brow, which is what gives them the "imperfect" look I requested. She didn't bring them too close together like I'd feared she might. They're not too dark or too long, nor are they too arched. They're just right. Even though she stuck to her geometric method, she listened to my concerns and worked with me on creating a brow I'd love. They're exactly how I would do my brows every day if I could, and now I won't have to.